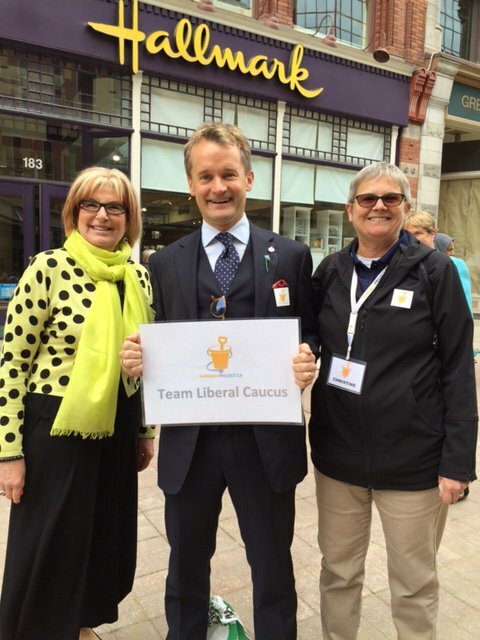 This is a guest post by Mary-Ellen Rayner, Director, Partnerships and Initiatives at The Sandbox Project. On June 8, Canada’s leaders were in the sandbox to help build a healthier generation of Canadians. 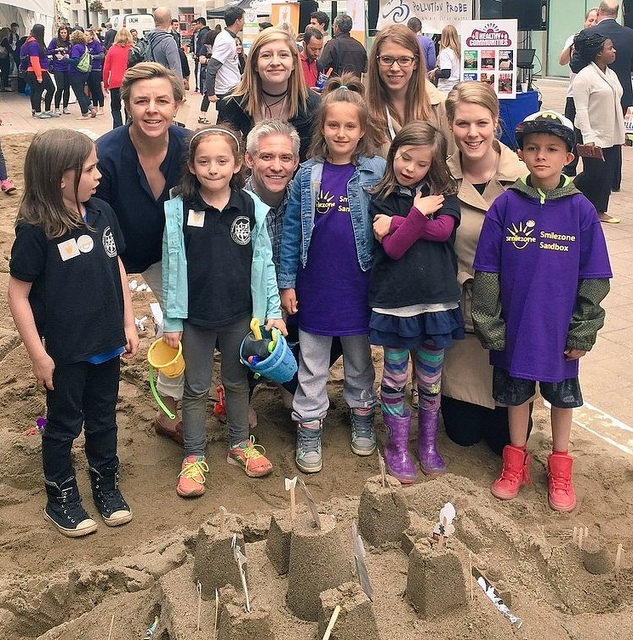 To raise awareness about The Sandbox Project, Parliamentarians, media personalities, not-for- profit and industry professionals joined 70 local schoolchildren and families to build sand sculptures in the Fifth Annual World’s Largest Sandbox on Ottawa’s Sparks Street. 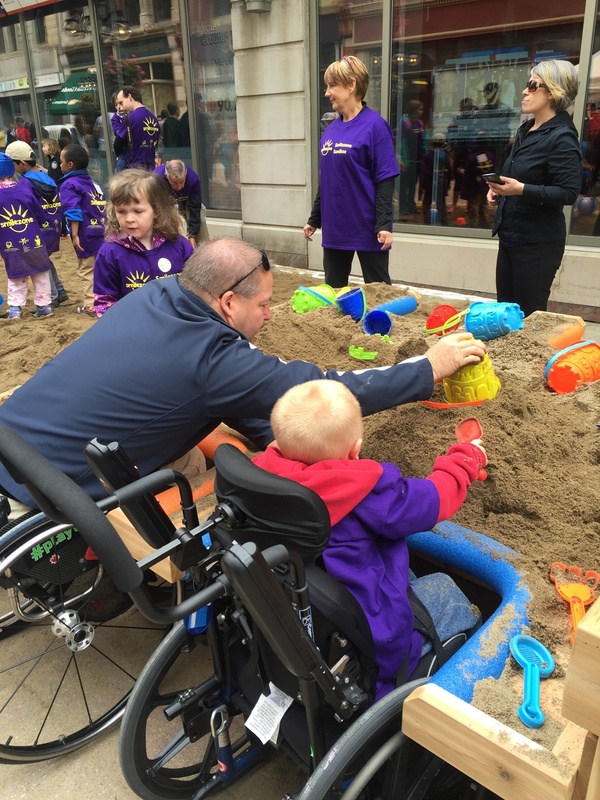 This year, in the spirit of resource sharing and teamwork, The Sandbox Project and the Smilezone Foundation joined together to build a newly accessible sandbox structure. 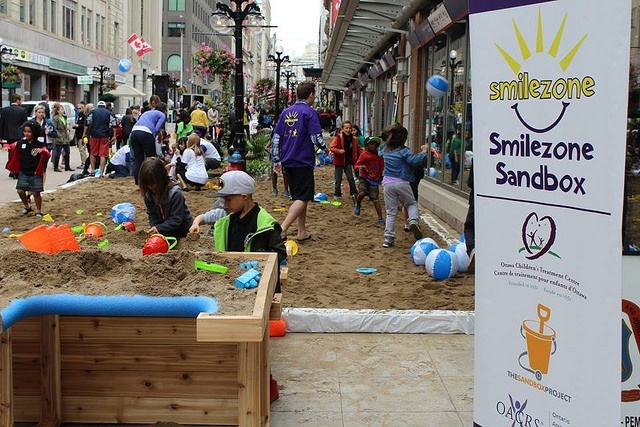 For the first time, in collaboration with the Ontario Association of Children’s Rehabilitation Services (OACRS) and the Ottawa Children’s Treatment Centre (OCTC), the Fifth Annual World’s Largest Sandbox featured a raised sandbox component that ensured access for more kids. Click here for social media and photo highlights.